Design, comfort and durability - pure comfort, Deluxe antimicrobial sweat-proof ear cups and a combination of lightweight plastic and aluminum construction provide a durable and stylish framework for delivering pure sound clarity. The pump soul offers a secure, comfortable fit for either leisure or intense gym workouts. Extended battery life and HD audio - the pump soul delivers an amazing 24 hours of playback on a single charge. The pump soul uses high quality audio components to deliver excellent high quality audio without the high price tag. At BlueAnt we know everyone is looking for their chance to shine, which is why we have developed the ultimate family of sports audio and sports lifestyle products. Everything we make is characterized by Blue ant's innate simple and intuitive technological innovations. With the best fit and finish, Optimal sweat and water proofing, top of the range sports audio, sleek design and that elusive x-factor to set US high above the pack. DESIGN, COMFORT & DURABILITY: Pure comfort, deluxe antimicrobial sweat-proof ear cups and a combination of lightweight plastic and aluminum construction provide a durable and stylish framework for delivering pure sound clarity. The Pump Soul offers a secure, comfortable fit for either leisure or intense gym workouts. EXPANDED BATTERY LIFE & HD AUDIO: The Pump Soul delivers an amazing 24 hours of playback on a single charge. 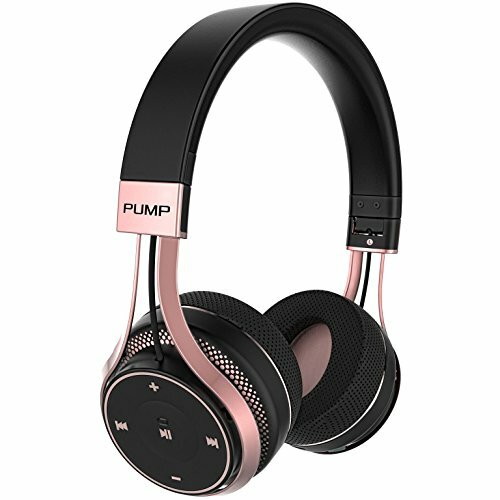 The Pump Soul uses high quality audio components to deliver excellent high quality audio without the high price tag. 24 HOURS PLAY TIME: Extended battery life. Rhythm and Deep Bass - Booming HD audio. ADDITIONAL FEATURES: HD Audio - Energized sound clarity. Deluxe carry case - For durable, safe storage. Personalized Fit -Includes 4 stabilizer sizes and tips. Sweat-proof. IP54 components. One Touch Control -Call, track and volume. Wideband Microphone capabilities. Siri/Google Integration. Folding Design Convenient storage. Carry Case Durable, safe storage. Bluetooth 4.1 - Connection with any Bluetooth phone. BLUEANT, THE CONNECTOR: At BlueAnt we know everyone is looking for their chance to shine, which is why we have developed the ultimate family of Sports Audio and Sports Lifestyle products. Everything we make is characterized by BlueAnt's innate simple and intuitive technological innovations. With the best fit and finish, optimal sweat and water proofing, top of the range sports audio, sleek design and that elusive X-factor to set us high above the pack.